Transportation Secretary Arthur Tugade today urged the public to be more responsible in sharing posts on social media about baggage pilferage in airports. Tugade acknowledges that incidents in the past have left a dent on the integrity and honesty of airport officials and personnel, but he said sharing non-verified posts would only make things worse. 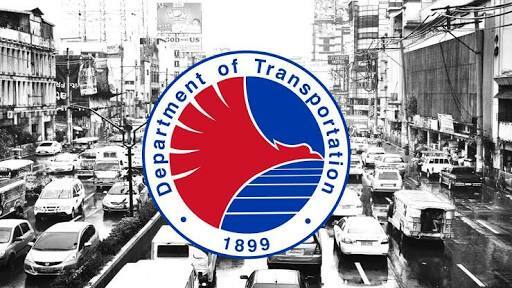 The transportation chief was reacting to a reported incident at the Terminal 1 of the Ninoy Aquino International Terminal last January 31. A Filipina traveler, Fe Cabalquinto, claimed in a Facebook post that a senior couple arriving from Korea were victims of baggage pilferage. Authorities of the Manila International Airport Authority (MIAA) immediately conducted an investigation and found that while the box was partially opened, no important items were lost. The couple, Efren Valero and Teresita Velero, also signed a certification to state that they did not authorize Cabalquinto to share the incident on social media. Further, the investigation found that the box was inspected at a US airport, and not at the NAIA. The tape wrapped around the box was a US TSA inspection tape. With this, Tugade said that he strongly supports the call of MIAA General Manager Ed Monreal for Cabalquinto to take down her post and make a public apology, and reminded the public that by doing such reckless actions, the country’s image and tourism may take a hit. “Naiintindihan ko na may mga kababayan tayong wala nang tiwala sa mga tauhan sa airports. Malamang naalala pa nila ‘yung mga insidente ng pagbubukas ng balikbayan boxes dati pati na laglag-bala. Pero nakikiusap kami na sana naman mas maging responsible sa pagpapakalat ng mga impormasyon sa social media. May mga tao rin naman sa airports na maayos na nagtatrabaho at maaaring maapektuhan ng mga maling paratang,” said Tugade. For his part, Monreal assured passengers that MIAA is doing all it can to ensure their safety, as well as baggage handling and safekeeping. “We are making all necessary steps in order to prevent these incidents. But, while it is your freedom to share anything on social media, remember that freedom comes with responsibility,” added Monreal. In January, Secretary Tugade summoned airport officials, airport ground handling companies, manpower service providers, and security managers following a reported incident of baggage theft at the Clark International Airport. He bared new guidelines for baggage handlers: (1) personnel uniforms must not have pockets, (2) boots or shoes must not be loose, (3) concerned personnel are no longer allowed to bring or use cellphones while on duty, and (4) are not likewise allowed to wear jewelry.